Large windows in our Cypress Suites make for incredible views. 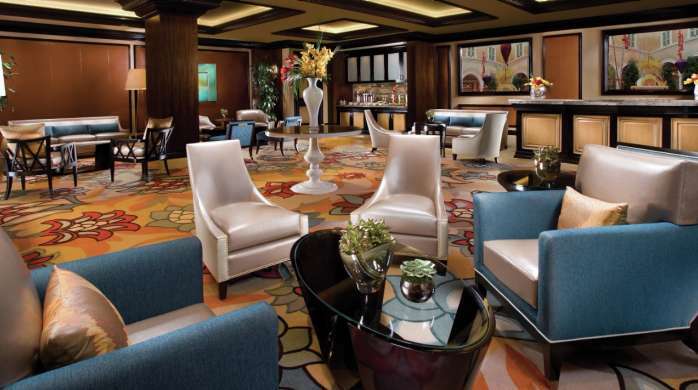 These spacious suites are designed in an arc shape with a modern, open floor plan. 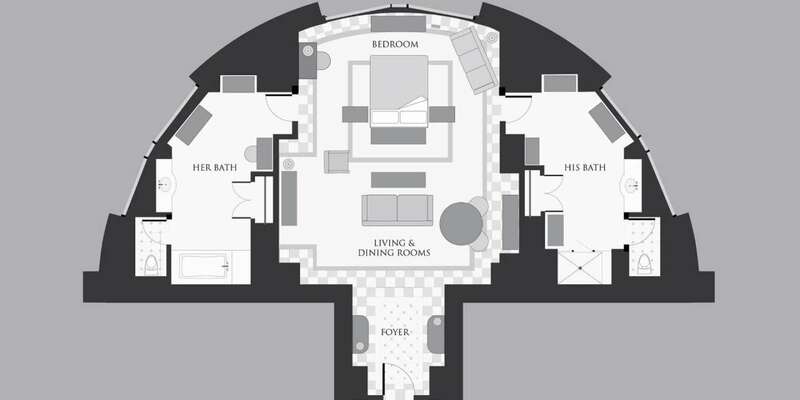 A residential-style living room is perfect for entertainment, and the couples’ bathrooms offer the choice of a steam shower in one and a soaking whirlpool tub in the other. Customize your stay with mood lighting, individual climate controls and reading lights, plus automatic drape and sheer controls. 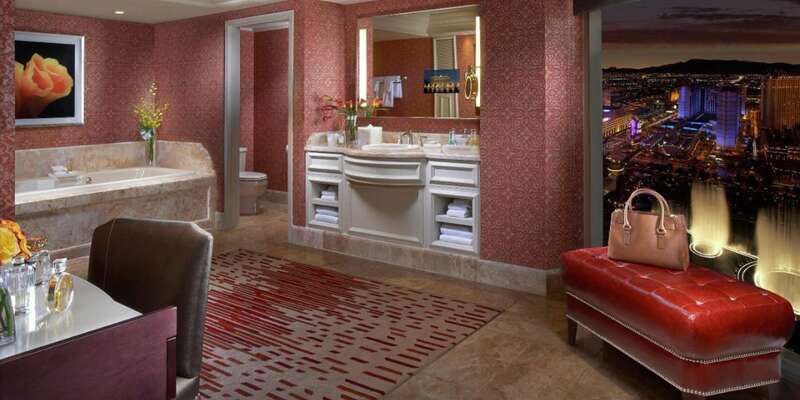 Located in the Bellagio Tower - Pamper yourself with breathtaking Bellagio Fountain views and plush residential-style accommodations. 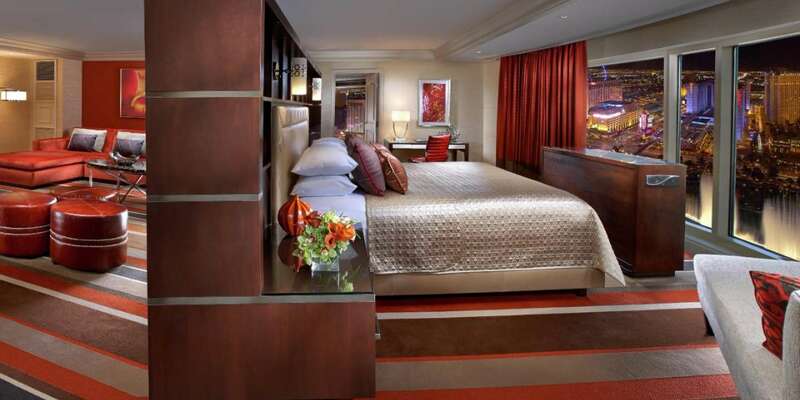 Located in the Bellagio Tower - Spectacular Bellagio Fountain views are yours in these lavish two-bedroom penthouse suites.